Last week, students braved cold winds and the threat of an oncoming storm while moving from across campus into newly renovated Landrum Hall, reopened after a year and a half of construction — half a year longer than expected. At the same time, email notifications popped up, first about changes to Lemon Hall and Jefferson Hall, and then about One Tribe Place. For those planning to live on campus during the 2019-20 academic year, changes are underway. 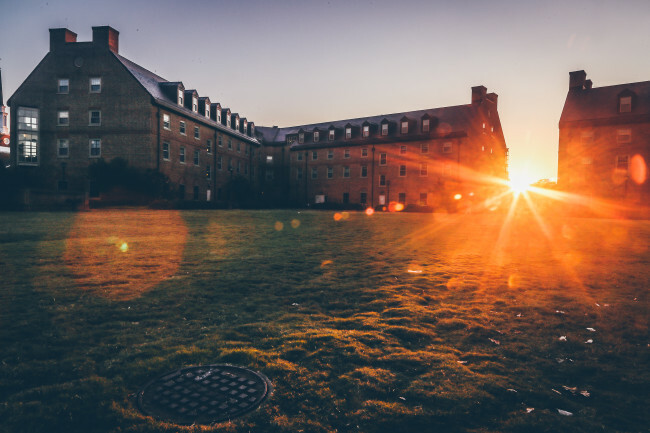 The College of William and Mary’s Residence Life announced that Lemon Hall and Jefferson Hall would be switching class designations. In the fall, Lemon Hall will become a freshman dorm in order to accommodate more students who require air-conditioned rooms for accessibility reasons. Jefferson Hall will take its place as an upperclassman dorm. According to Associate Vice President for Student Affairs and Director of Residence Life Maggie Evans, ResLife, Student Accessibility Services and the College’s Office of Compliance and Equity began discussing challenges regarding meeting requested accommodations in October 2018. Of the current dorms available for incoming freshmen, none have updated heating, ventilation and air conditioning systems, elevators and exterior access for mobility-impaired students. Additionally, there are very few single rooms available in these halls. Incoming freshmen must provide medical documentation to be placed in a room that is air conditioned. Evans said that up until now, SAS and ResLife had to install window AC units in dorms such as Yates Hall and Jefferson Hall for those with approved documentation. However, these residence halls are on a common system that does not allow students to control the climate in their rooms. ResLife and SAS had identified that Jefferson Hall and Lemon Hall had almost the exact same number of beds. Assistant Dean of Students and Director of Student Accessibility Services Lesley Henderson said that it’s important to note that neither Jefferson Hall nor Lemon Hall has been designated as an “Americans with Disabilities Act” hall, and both will house students with and without accommodation needs. ResLife will also place window units in all rooms of Hunt and Taliaferro Halls to provide more air-conditioned spaces for freshmen. The second change to on-campus housing concerns One Tribe Place. OTP has long been under construction. When the Hospitality House hotel was purchased in 2013, it was segmented into three pieces: the original hotel, the 1984 wing and the rooms under the hotel, such as the ballroom and the restaurant. In May 2013, the College purchased the hotel and made minor renovations; a full inspection was not done prior to purchase. After students moved into the original hotel, the College found that water infiltration had made the rooms in the 1984 wing, as well as those under the hotel, unusable. The College has been unable to pursue initial plans for renovations that included remodeling the ballroom, meeting rooms and restaurant spaces to bring them up to building code and make those spaces accessible for student organizations to use. Current residents of OTP learned Jan. 15 via an email that the building would be going “offline” for the 2019-20 academic year. Evans said that an engineering study of the building made it necessary to close it to inhabitants. According to Evans, the necessary repairs would be too disruptive to undertake while the building is occupied and too large to complete over a summer break. These repairs will only address the new issues such as the structural deterioration found in the original hotel building and a portion of the parking deck. OTP currently includes several single rooms for students with and without ADA accommodations. Evans said that ResLife will work with SAS to find other residence halls for students who need accommodations. She also said that not all accessibility accommodations require a single room. Evans said that even with OTP offline, she still believes that the College will be able to meet the demand for on-campus housing, although the procedures are in place to work with waiting lists if necessary. The housing contract for returning students is due Feb. 20. With all the recent changes to on-campus upperclassman housing, some students are worried about the possibility of being placed on waiting lists or not being able to acquire on-campus housing at all. Max Fritts ’20, who lives in Lemon Hall, said that coming from a low-income background, he is worried about whether or not he will be able to afford off-campus housing if there is not enough space for all returning students while OTP is offline. Evans said that just like changing designations year-to-year is common university housing practice, taking a building temporarily offline is also common and often necessary. — Flat Hat News Editor Madeline Monroe ’19 also contributed to this article.